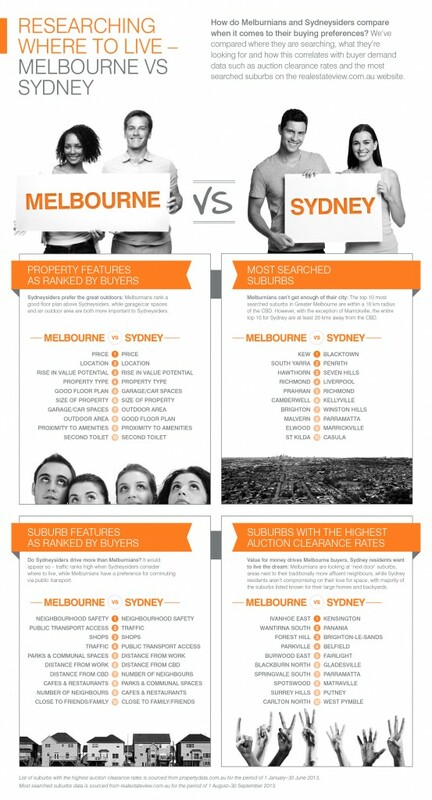 How Melbourne and Sydney differ when it comes to house hunting. Both the Sydney and Melbourne property markets are performing strongly, but Sydney has won the race with superior overall capital growth this year. As long as I remember there’s been a rivalry between our two big capital cities and it’s just just about our property markets. We compete on things like – the weather is better in Sydney and it’s got the harbor and the Opera House. On the other hand Melbourne has better shopping, the best sports venues and the coffee is better in Melbourne.